With our whistle-stop tour of Scotland almost over, there were just a couple of places left on our hit list before we finally got back home. Mike was keen to detour via the Angel of the North, whilst G was desperate to make Scarborough our destination for the last night of our holiday. The last 2 days we were spending away from home were very much going to be all about the travelling, so it was good to have a couple of pit stops already planned for the necessary toilet breaks, stretches of our legs and escape from the relatively small confines of the car. We crossed the Scottish border around lunch-time and I just about managed to snap a quick photo of the 3 Scottish flags that were flying to mark our departure. It then took us another 2 hours to travel down to Gateshead, home to the impressive Angel of the North. For those of you who don’t know, this is another Antony Gormley sculpture and one that dominates the landscape albeit in a surprisingly unintrusive way. As always there was a small competition in the car to see which family member could spot the Angel first and as it so often is, M managed to beat G and spotted it first. We parked easily and wandered across the grass to stand beneath its incredible wingspan and just stare up at the clouds. There was a somewhat heated debate between M and Mike as to whether the wings were moving in the wind, whilst G and I left the boys to it and simply stretched our legs out before climbing back in the car for the next part of the journey. It would be fair to say that most of us slept – except Mike as designated driver thank goodness – over the next few hours, until we finally arrived in Scarborough far too late to do much more than drive rather aimlessly through the town and look at what we could have explored if only we’d arrived a little earlier. It’s still something of a mystery as to why exactly G was so determined to visit Scarborough, but I rather suspect that it has a lot to do with the infamous song, “Scarborough Fair” and not really anything else. She didn’t have a plan for anything she wanted to visit whilst there and M’s rather fed-up quizzing of her motives resulted in nothing more than a cursory shoulder shrug and typical teenage smile. We were all a little tired, a lot travel-weary and in desperate need of food. Thanks to a speedy bit of googling on my trusty i-phone, I managed to find a well-recommended fish and chips shop that specialised in gluten-free batter and we decided to push the boat out for one last time on our holiday and spoil us all with that little treat. The gluten-free menu at Fish and Chips at 149 in Bridlington was incredible and I would highly recommend to anyone looking for a great allergy-friendly meal. We each chose our fish and accompaniment of choice and then headed to the seafront to sit and enjoy our meal. The portions were huge, but much enjoyed and we finished the evening off with a much-needed and refreshing walk along the seafront. It was a wonderful end to a fantastic holiday, though we were all looking forward to being homeward-bound once again. This entry was posted in Family, Parenting, Travels and tagged Angel of the North, Antony Gormley, Bridlington, Easter, eating out, Edinburgh, family, family time, fish and chips, Fish and Chips at 149, Gateshead, holidays, homeward, love, parenting, quality time, Scarborough, Scarborough Fair, Scotland, sculptures, seafront, Special Diets, stress free travelling, Travels on June 28, 2018 by bluesingingdragon. With an unbeatable combination of good health all round, a new approach to food challenges and an accommodating restaurant, this year we had one of the best Mother’s Day lunches that we’ve enjoyed in a long time. Last year’s celebration fell flat, when my Mum was relegated to her sick-bed and left Mike, the children and me to savour yet another fantastic family meal at what has become one of our all-time favourites for allergy-friendly meals, Wagamama. However, a recent visit to our local Wagamama for M’s birthday tea meant we didn’t fancy a return visit quite so soon, after all it is possible to have too much of a good thing and as much as I fancied treating Mum to a late lunch at the amazing Cafe Nouveau, it was just too far to trek this weekend. Fortunately, the opportune coincidence of trialling prawns and our Sunday lunch plans meant we could visit an old haunt that received recent recognition as a gold award-winning venue at the 2016 FreeFrom Eating Out Awards. Of course, we couldn’t just turn up on the day assuming that we’d be able to safely feed both children, so a preliminary phone call to not only book a table, but also run through all of our allergy requirements for the meal was an absolute necessity. We have been incredibly lucky in the past as we don’t always call ahead and have still found ourselves able to eat out as a family, but a special meal such as this one required a little forward planning. Our restaurant of choice was the marvellous Fishers Restaurant in Bristol and we had our fingers crossed that the inclusion of prawns for the day would make it possible for us all to enjoy a lunch at this great seafood restaurant. The staff were fantastic when Mike called and reassured him that not only could a safe prawn starter be prepared for M, but, as they were including chicken as a main course for Mothering Sunday, prepping chicken, rice and cucumber would be an absolute breeze too. We had high hopes for our first 3-course meal in a long time, but the generous portion sizes left us all feeling full and satisfied before the dessert menu could even be properly considered. Fishers were able to adapt most of their menu options to be both gluten- and dairy-free to suit G and she was thrilled to be able to order calamari with a sweet chilli sauce, something that is an unexpected favourite with my oft-time picky oldest. She was also delighted by the gluten-free bread basket that she was able to enjoy whilst waiting for her starter to arrive and there was barely a crumb left by the time the calamari appeared. Mum settled on mussels, Mike picked smoked salmon and M and I enjoyed a similar starter of tempura tiger prawns, though mine came with a soy dipping sauce. I would love to be able to share with you the plate of prawns that M was presented with, but my joy at being able to watch my foodie savour every single mouthful meant that I forgot to pull out my phone until that plate was cleared. G and M’s choices for their main course were a little more mainstream, with M being greeted with a fantastic-looking plate of plain rice, grilled chicken and cucumber batons, whilst G’s huge plate of gluten-free haddock and chips was enough to feed a small army. I was pleased to learn that they have a dedicated fryer to cook all of their gluten-free offerings and seemed to be very much attuned to the risks of cross-contamination for their freefrom guests. We had already confirmed that M could eat the lemon sorbet for pudding and were keen to see what was on offer for G. Sadly, this is when disappointment really hit as despite their brilliance in providing lots of gluten- and dairy-free alternatives for the savoury courses, dessert was a real let-down. The only choice readily available for G was sorbet, which she absolutely hates and when pushed, all the kitchen could offer was the apple crumble – without the crumble. We had heard that in the past, they had been able to go off-menu and cook a gluten- and dairy-free banana fritter, but we were told that they were no longer able to prepare that as an alternative. It was perhaps lucky that G and M were both full to the brim from the rest of the meal and didn’t really want to stick around any longer for pudding and so the rest of us willingly abandoned the sweet finale to our meal and instead travelled back to my Mum’s for a refreshing cup of tea. Fishers was a great choice for lunch and we were impressed at their willingness to accommodate some tricky dietary requirements. However, the lack of an imaginative dessert menu for those with allergies was extremely disappointing and an area that could definitely do with some improvement to make it a truly excellent Freefrom restaurant. This entry was posted in Chronic Illness, Family, Food Allergies, Parenting, Reviews and tagged #FFEOA16, Allergy, allergy-friendly, Awareness, Cafe Nouveau Frome, calamari, Dairy free, eating out, EGID, family, fish and chips, Fishers Restaurant Bristol, Food, food allergies, food challenges, free from, Free From Eating Out Awards, Free From Eating Out Awards 2016, gluten-free, Gluten-free diet, Happy Mothers Day, love, lunch, Mothering Sunday, mothers, Mothers Day, parenting, prawns, Special Diets, Wagamama on March 30, 2017 by bluesingingdragon. Fast food – home-made style! 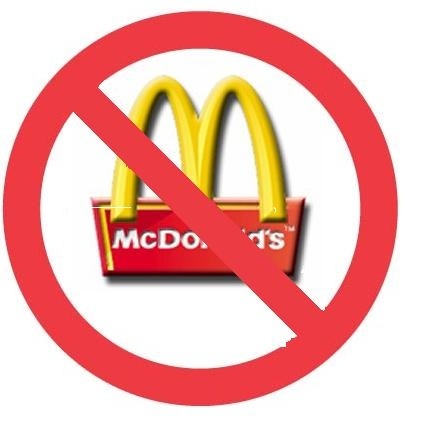 We are generally not a fast-food eating family, which, given the array of allergies we’ve had to deal with over the years, is probably a good thing. It’s not something we’ve noticed we’re missing out on and I doubt we’d ever be burger joint regulars even without the allergies, but all that being said, there are definitely times when being able to pick up a burger and chips or to grab fish and chips from the chippie would make feeding the family one less headache to deal with at the end of a busy day. I don’t think the children have ever really felt like they’re deprived in this area, especially as there were occasions before allergies became a big deal or we’d ever even heard of EGID that we would treat them whilst on holiday; but there have been a couple of events recently where M has really struggled with not being able to eat on the go like so much of the rest of the world. The first was back in July, he went to a friend’s paint-balling birthday party, which was followed by lunch and birthday cake at the local McDonald’s. M was brilliant. He was keen to join in and spend the time with all his friends and asked me to take along some safe food for his lunch. He sat with them whilst they enjoyed their Happy Meals and asked his friend’s Dad if he could have a small portion of fries to smell at the same time. This may sound strange and it’s most definitely heartbreaking to see, but is a coping mechanism he picked up from a couple of the amazing children we met during his GOSH stay last year. It is widely reported that if you lose one of your senses, the others become more acute to replace it and it is this theory that has been put into practice here. M may not be able to eat many of his favourite foods any more, but he can still garner great satisfaction from enjoying their distinctive smells instead. When you consider that your sense of taste is hugely influenced by your sense of smell, after all we all know how bland food can seem when we’re struggling with a heavy head cold, then I guess that it’s no wonder that M finds such enjoyment from smelling what he can’t eat. With the party behind us, the issue of fast food didn’t raise its head again until just a few weeks ago following a family evening out at a local art exhibition. I had managed to feed G and M before we headed out the door, but Mike and I, no strangers to late night meals, decided that the timing was such that we could only grab something on our way back home. We stopped to quickly pick up burgers and almost instantly both children went into minor melt-downs. I knew that a lot of their complaints were the result of the late night and a desperate need to get to bed and sympathised with their frustrations at not being able to eat something, anything “normal” for a change. I put my thinking cap on and determined to create a meal that could somehow replace the humble burger in our household and give the children the taste sensation they were craving. I remembered that a couple of summers ago, I had created a fantastically tasty lamb and mint burger recipe and I wondered if I could take that basic recipe and tweak it to meet M’s new dietary needs. The great news is that I absolutely could. We buy our fresh meat, fruit and vegetables from a local co-operative and one of the ingredients I had spotted before was minced chicken. 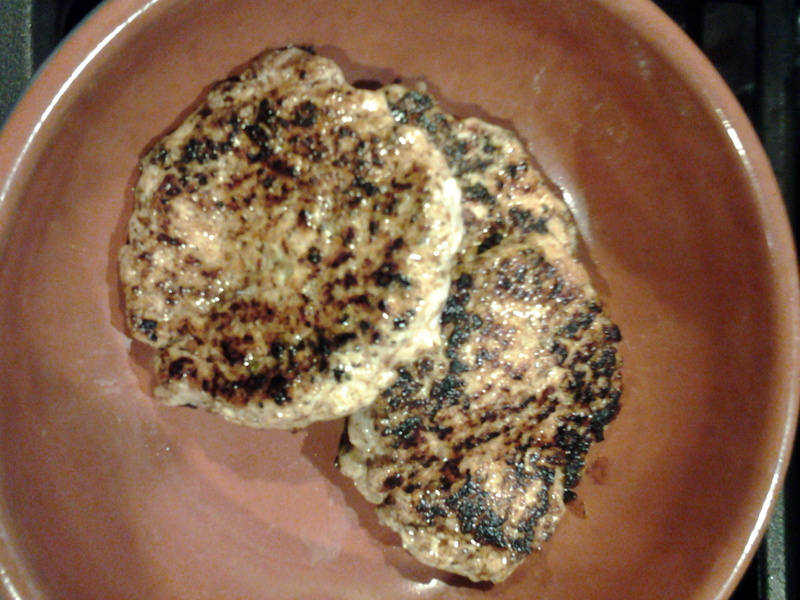 Adding a mix of seasonings and herbs as well as a generous helping of golden syrup, I prepared some great tasting chicken burgers. I whipped up a batch of rice flour pancakes to replace the bread roll for M, though we’ve decided that my flatbreads would work equally well. They were declared an almost instant success by both M and G, who have asked for them on more than one occasion since. Even better, I discovered that I could use the same recipe to create mini meatballs, which M enjoyed with rice pasta drizzled with a little rapeseed oil, some diced cucumber and a handful of additional herbs. So, one simple recipe led to 2 great new meals for my now slightly-less-moody children – a job well done! This entry was posted in Allergy friendly recipes, Food Allergies, Special Needs Parenting and tagged Allergy, Awareness, birthday party, burgers, celebrations, chicken burgers, Dairy free, eating out, Egg free, EGID, family, fast food, fish and chips, Food, food allergies, friends, gluten-free, Gluten-free diet, holidays, home cooking, M-friendly, M-friendly fast food, McDonalds, parenting, school, Soya free, Special Diets, support, wheat free on October 8, 2015 by bluesingingdragon.